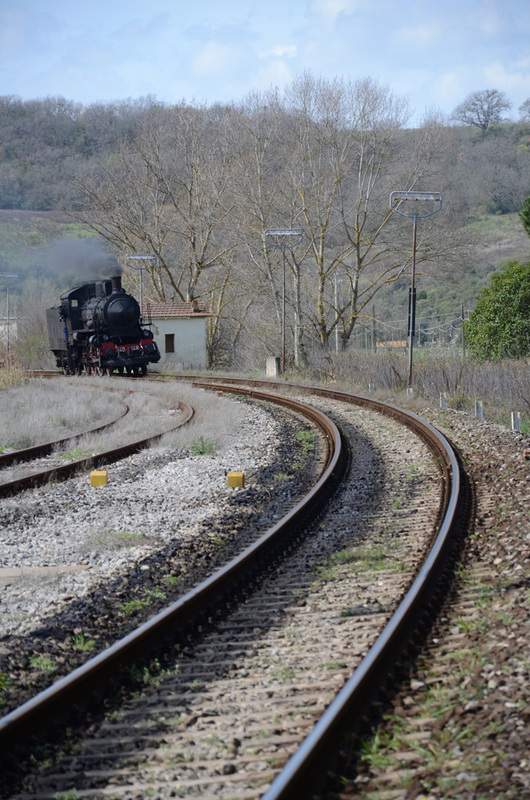 A fun and interesting way to explore southern Tuscany – and, in particular, the Val d’Orcia area – is by traveling on a historical stream train! The Treno Natura program offers every spring and fall several full-day outings which depart from Siena and head to a different destination to explore a local festival or other special local event. You can read more about these itineraries on our page here. While you can check out the full program for 2018 here, it is only in Italian! 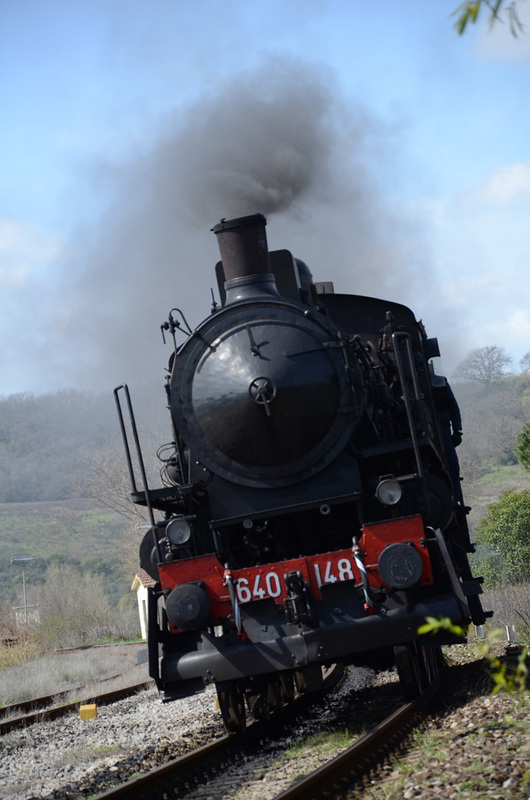 Since we believe in sharing these special experiences with everyone who visits Tuscany, we have translated the 2018 Spring calendar in English so that you can check to see if your dates make it possible for you to join in and explore Tuscany on a steam train! In general, for all of the dates, you need to complete a booking form online. Cost for adults is 36.50 euro, children under 10 with no seats can travel for free or 19.50 euro for kids over 10 with assigned seating. 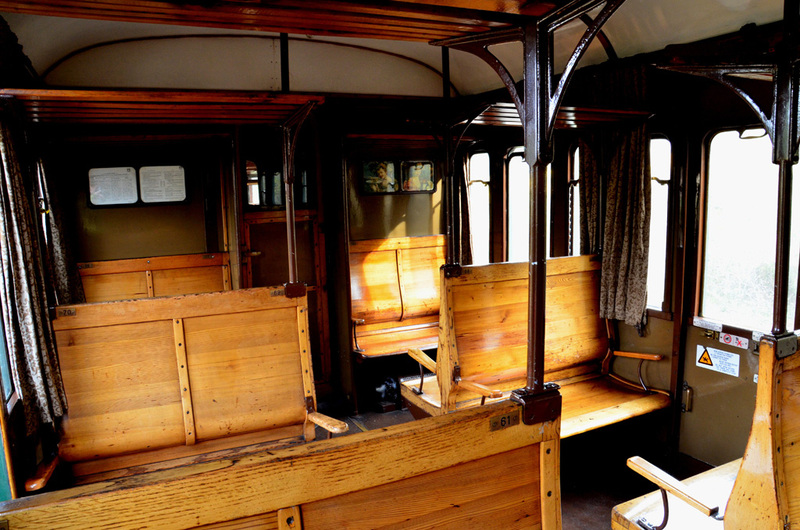 There are additional costs for the dates where there is extra travel by bus or extra activities in addition to the steam train, please check the complete program for the date you are interested in. The detailed program for each date includes info on each of the planned stops, scheduled arrival and departure times, highlights of each stop and what you can do at each. These complete programs also includes specific information on cost and booking for that itinerary. Unfortunately, all of this information is only in Italian and, because of time constraints, I am not going to translate all of the details for each date on the calendar, but if you’re interested in any particular one, let me know and I will provide additional details! PLEASE NOTE: The program could have slight modifications, always ask for any changes in the daily program before departure. The agency organizing all of the outings is called Visione del Mondo. Their email is booking@visionedelmondo.com if you want to send them an email beforehand so that you can get more info before booking. This itinerary takes you to the XVI Festa del Tartufo Marzuolo, which is a food festival dedicated to truffles and other regional specialties being held on the weekend of March 24th and 25th in San Giovanni d’Asso. 11.20am Monte Antico – Buonconvento – stop here for lunch, you can visit the museum of Sacred Art and of Farming. 4.58pm departure back to Siena, arrival around 5.40pm. This one is a special one, with bus service from Torrenieri where the train stops to get you to San Quirico, not reachable by train. There are extra activities in San Quirico planned, from bike rides, hikinh along the Via Francigena, wine tastings and workshops for kids. You’ll need to book the extra activities you want to participate in, otherwise you reach San Quirico before lunch and can just roam around and eat and taste wherever catches your fancy before meeting back for the bus ride to the steam train and return to Siena. Wine tastings in the Brunello wine area are also foreseen on this outing near Montalcino. These are all the outings for the spring, there are more planned in the fall starting on September 30th through December, we’ll give you more info on those in a future post!